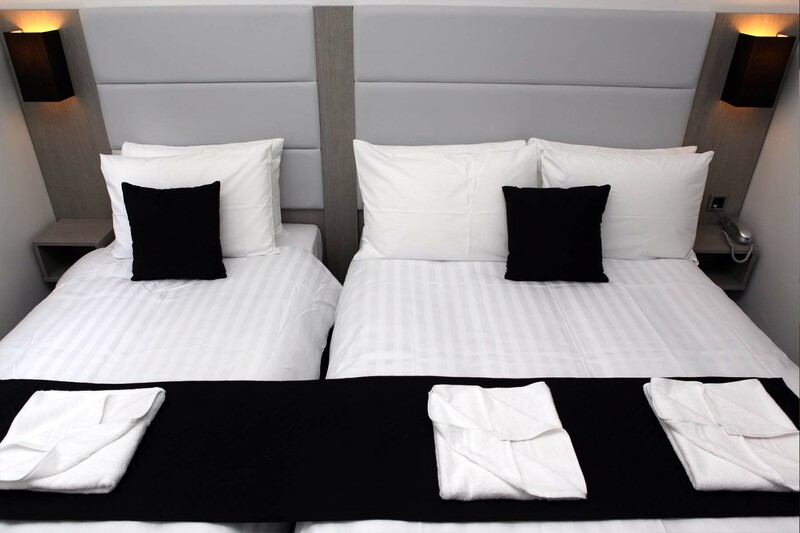 All our bedrooms at The Omega Hotel are well appointed with a compact, ensuite bathroom, with shampoo and conditioner, shower gel and soap. 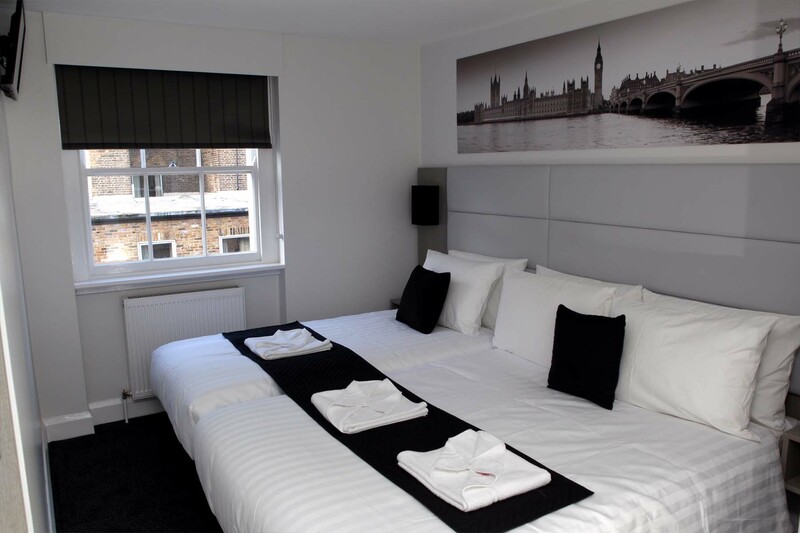 Each bedroom has a digital flat screen LED television with Freeview channels, internal telephones to receive calls, free high speed Wi-Fi internet, hairdryers and electronic safes. 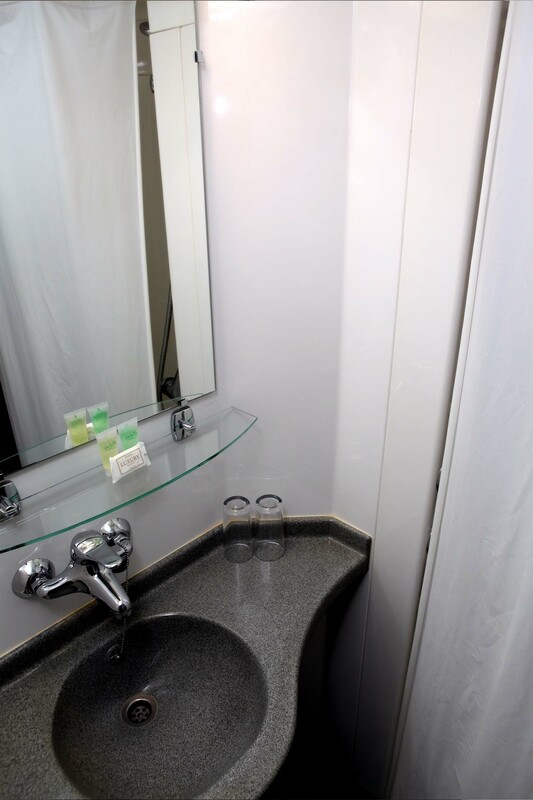 Each bedroom’s vanity desk has plug sockets, direct USB chargers and a European electricity adaptor. 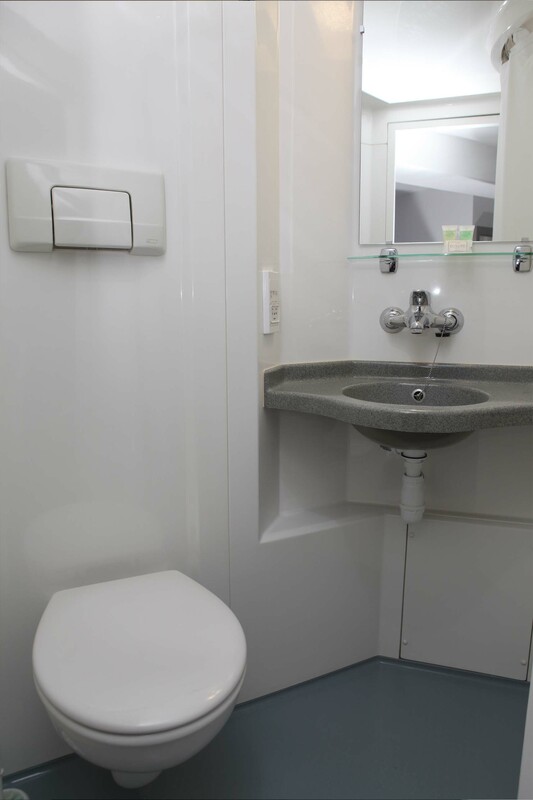 Other international adaptors, iron and ironing board and free tea and coffee facilities are available in reception. 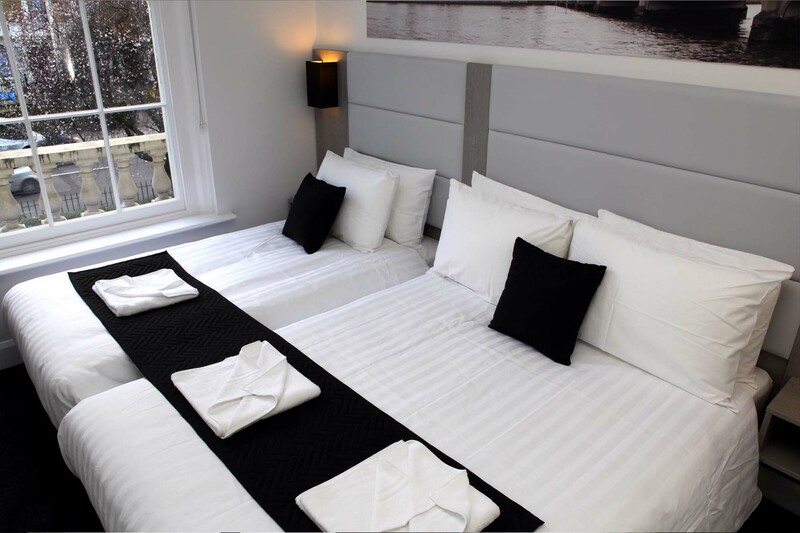 All our rooms are non-smoking and are serviced daily. 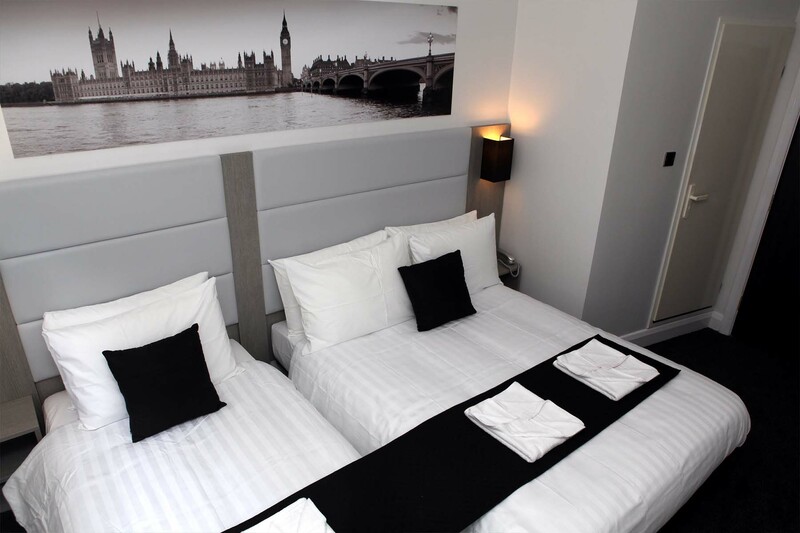 The Omega Hotel provides a personal electronic room key card and 24 hour reception for additional security. 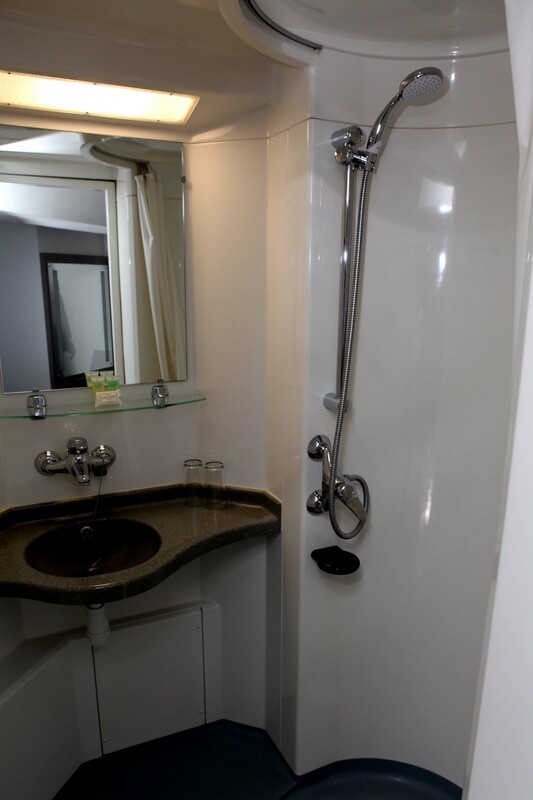 Every room has a personal electronic safe and there is CCTV around the building for added security. Breakfast at The Omega is served from 7am – 9am and consists of a continental breakfast with a wide selection of cereals, jams, cold meats, cheeses, cakes & bakery and juices all served in a bright and cheerful dining room. Check-in time is from 2pm, however if the room is vacant from the night before it may be possible to have an earlier check-in. Free luggage storage is available in reception if you arrive earlier than check-in time or are leaving later than check-out time.